100 Days of a New Year 2017 eBook Available Now! 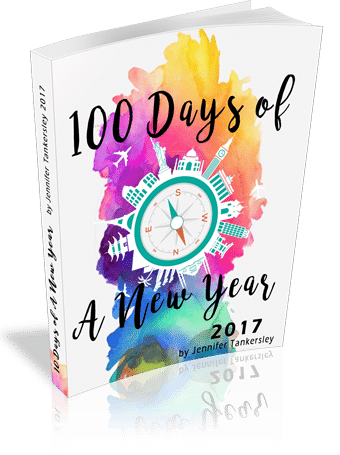 100 Days of a New Year 2017 eBook is a journey to a more focused, more productive YOU. Beginning January 1 through April 10, get inspired to set goals and find motivation for making 2017 your best year yet! For a FREE excerpt, including the table of contents, instructions for using this eBook, and Day #1, see below. 100 Days of Summertime eBook Now Available! Get the 100 Days of Summertime 2014 eBook for just $5 (regular price $8). 100 Days of a New Year 2014 eBook is Here! 100 Days of a New Year 2014 eBook is a journey to a more focused, more productive YOU. Beginning January 1 through April 10, get inspired to set goals and find motivation for making 2014 your best year yet! As a bonus, you get 75 lists and worksheets from ListPlanIt.com to guide and motivate you to set goals, better manage your health and finances, and clean and organize your home. eBook buyers will find a code for a FREE 60-Day trial to ListPlanIt.com! Join our community for updates and discussions at our 100 Days of a New Year Facebook page!